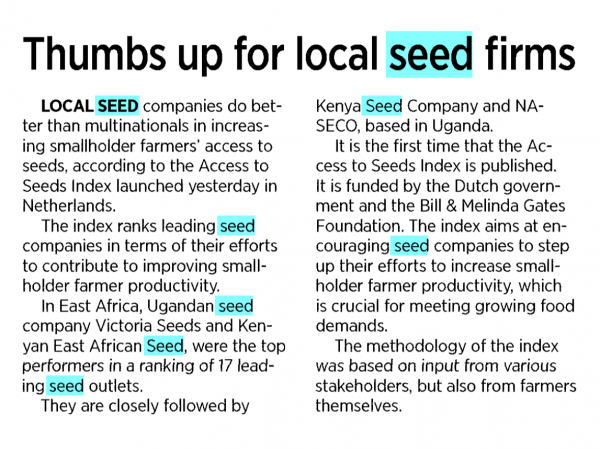 LOCAL SEED companies do bet­ter than multinationals in increas­ing smallholder farmers’ access to seeds, according to the Access to Seeds Index launched yesterday in Netherlands. The index ranks leading seed companies in terms of their efforts to contribute to improving small­ holder farmer productivity. In East Africa, Ugandan seed company Victoria Seeds and Ken­yan East African Seed, were the top performers in a ranking of 17 lead­ing seed outlets. 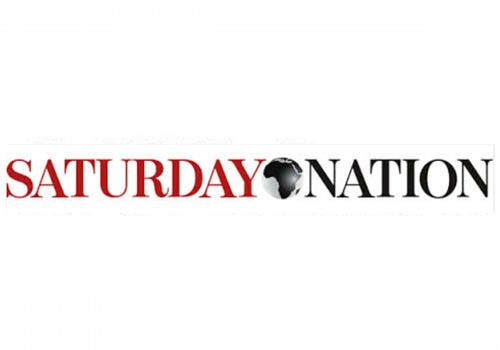 They are closely followed byKenya Seed Company and NA­SECO, based in Uganda. It is the first time that the Ac­cess to Seeds Index is published. It is funded by the Dutch govern­ment and the Bill & Melinda Gates Foundation. 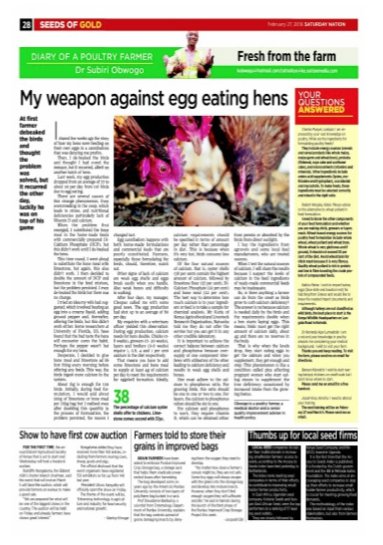 The index aims at en­ couraging seed companies to step up their efforts to increase small­ holder farmer productivity, which is crucial for meeting growing food demands. The methodology of the index was based on input from various stakeholders, but also from farmers themselves.